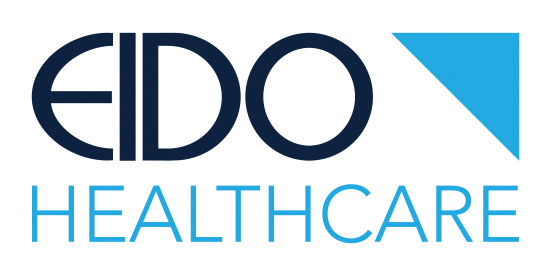 The following terms and conditions govern the use of the EIDO Download Centre at http://inform.eidosystems.com and the Patient Information Documents accessed through it. The EIDO Download Centre is available to authorised users only. You are advised to read, and must accept, the following terms before You use the EIDO Download Centre and the Patient Information Documents that are accessed through it. If You have not already entered into with a distributor a legally binding agreement into which these terms are incorporated, by acknowledging Your acceptance of the following terms You are entering into a legally binding agreement with Us on and subject to the following terms. 1.1Please note the disclaimer in paragraph 7 and the limitation on liability in paragraph 8. 1.2You may use the Site and/or the Patient Information Documents only in accordance with these terms and any Agreement. If You wish to use the Site and/or the Patient Information Documents in a way not covered by these terms or any Agreement, or if You are not authorised to use the Site and/or the Patient Information Documents then please contact your distributor. Any agreement in writing between You and Us which incorporates these terms. Persons registered as clients of Your organisation. The fee paid or payable by You for the use of the Patient Information Documents as is agreed in writing by Us and You from time to time. Our Patient Information Documents that We have agreed in writing that You may use. Any computer hardware owned by You. The delivery of Patient Information Documents via the Site. The Distributor who has agreed to provide you with access to the Service(s). The organisation on whose behalf a user accepts these terms. 3.1We authorise You to use each Patient Information Leaflet for which You pay Us a Fee. 3.2You may authorise any employee of Your organisation, or any other person who We have consented in writing to You authorising, to use the Service. 3.3This authority starts when You accept these terms and ends: (a) if the Agreement expires or is terminated; or (b) if Your authority granted by paragraph 3.1 to use the Service and/or Patient Information Documents is terminated in accordance with paragraph 9 below. 4.1You may search, view, print out, download and save on electronic media (including Your intranet and electronic storage devices) the Patient Information Documents solely and exclusively for the purpose of providing copies (including electronic and paper copies) of the Patient Information Documents to Your Clients or any other person who We have authorised You in writing to provide copies to. (f)assign or otherwise dispose of Your or Our rights under these terms. 5.2You will use Your best endeavours to ensure that nobody accesses the Service using accounts created with the Username(s) and Password(s) allocated to You by Us for use of the Service, except those who have been authorised by You under sub-paragraph 3.2. 5.3You will not contest Our intellectual property rights in the Service and/or the Patient Information Documents. 5.4You are responsible for configuring Your information technology, computer programmes and platform in order to access the Service. Notwithstanding sub-paragraph 6.2 below, You should use Your own virus protection software. 6.1We warrant that You will not infringe any third party rights by using the Service and/or the Patient Information Documents and We will indemnify You against costs or expenses You may incur as a result of any claim that the use by You of the Service and/or the Patient Information Documents infringes any third party rights, provided You notify Us within a reasonable time of any such claim being made. 6.2We will take reasonable steps to ensure that software and data files We supply to You as part of the Service are virus-free. 6.3We will take reasonable steps to ensure that the Service is continuous and that access to the Site is not interrupted for more than five working days in any twelve month period by any event in Our control. 6.4We warrant that there are not any conflicts of interest relating to the information provided through the Service and/or the Patient Information Documents. (d)we may change part or all of any Service and/or the Patient Information Documents at Our discretion. 8.1Except for any liability which the parties are not lawfully permitted to exclude or limit or for any liability arising from a wilful breach or a breach of Our intellectual property rights in the Patient Information Documents, the liability of both You and Us under these terms and any Agreement in respect of losses, damages, costs or expenses suffered by You or Us as a direct result of the other's breach of any of their contractual obligations or negligence or otherwise, shall not in relation to any event giving rise to a claim exceed the amount of the fee paid by You in the calendar year in which the claim arises. 8.2Under this paragraph You includes any other party claiming through You and loss or damage includes any losses, damages, costs or expenses whatsoever or howsoever arising in connection with the Service and/or the Patient Information Documents, whether under this Agreement or any other agreement or in consequence of any misrepresentation, misstatement or tortuous act or omission, including negligence. 8.3This paragraph does not affect claims in respect of death or personal injury caused by negligence and does not limit or exclude any liability for fraudulent misrepresentation. 9.1Your authority to use the Service and the Patient Information Documents, and the Agreement will terminate if You are in material breach of any of these terms or any other term of the Agreement and if the breach is not remedied within the period of twenty working days after written notice requiring such remedy has been given by Us to You. (c)ensure that no Patient Information Documents are made available by You to Your Clients or any other third party. 10.1 You may not assign the benefit of these terms or any Agreement without Our consent in writing. 10.2 These terms and any Agreement are not intended to benefit anyone other than You and Us and, in particular, no term of them shall be enforceable under the Contracts (Rights of Third Parties) Act 1999 by a third party. 10.3 Both We and You undertake not to divulge or communicate to any person, except as may be required by law or any legal or regulatory authority, any confidential information concerning either of our businesses or affairs which may have come to the other's knowledge and both We and You will use our reasonable endeavours to prevent the publication or disclosure of any confidential information concerning such matters. 10.4 These terms and any Agreement, constitute the entire agreement and understanding and supersede any previous agreement between You and Us relating to Your use of the Patient Information Documents. You acknowledge and agree that in entering into these terms and any Agreement You do not rely on, and shall have no remedy in respect of, any statement, representation, warranty or understanding (whether negligently or innocently made) of any person other than as expressly set out in these terms or in any Agreement. Your only remedy for breach of these terms or in any Agreement shall be for breach of contract. 10.5 These terms and any Agreement are governed by English law and You submit to the exclusive jurisdiction of the English courts. When you submit data to through a form such as those found on contact pages or clinician feedback forms cookies may be set to remember your user details for future correspondence. Data : Collectively all information that you submit to EIDO Systems via the Website. This definition incorporates, where applicable, the definitions provided in the Data Protection Act 1998. EIDO Systems, we, or us : EIDO Systems, a company incorporated in England and Wales with registered number 9485836 whose registered office is at 19-21 Main Street, Keyworth, Nottingham, NG12 5AA. User or you : any third party that accesses the Website and is not either (i) employed by EIDO Systems and acting in the course of their employment or (ii) engaged as a consultant or otherwise providing services to EIDO Systems and accessing the Website in connection with the provision of such services. Website : the website that you are currently using, https://inform.eidosystems.com, and any sub-domains of this site unless expressly excluded by their own terms and conditions. 2.1. The singular includes the plural and vice versa. 2.3. A reference to a person includes firms, companies, government entities, trusts and partnerships. 2.4. "Including" is understood to mean "including without limitation". 2.5. Reference to any statutory provision includes any modification or amendment of it. 1. For purposes of the Data Protection Act 1998, EIDO Systems is the "data controller". 2. We will retain any Data you submit for 12 months or longer. 3. Unless we are obliged or permitted by law to do so, and subject to any third party disclosures specifically set out in this policy, your Data will not be disclosed to third parties. This our affiliates and / or other companies within our group. 1.EIDO Systems may, from time to time, employ the services of other parties for dealing with certain processes necessary for the operation of the Website. The providers of such services have access to certain personal Data provided by Users of this Website. 3.sharing Data with third parties. 1.To use all features and functions available on the Website, you may be required to submit certain Data. 1.You have the right to ask for a copy of any of your personal Data held by EIDO Systems (where such Data is held) on payment of a small fee, which will not exceed £25. 1.Data security is of great importance to EIDO Systems and to protect your Data we have put in place suitable physical, electronic and managerial procedures to safeguard and secure Data collected via this Website. 2.If password access is required for certain parts of the Website, you are responsible for keeping this password confidential. 3.We endeavour to do our best to protect your personal Data. However, transmission of information over the internet is not entirely secure and is done at your own risk. We cannot ensure the security of your Data transmitted to the Website. You may contact EIDO Systems by email at pda@eidosystems.com.